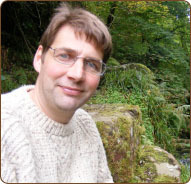 Welcome to Phil Jones Woodturner website. Phil Jones professional wood turner is on The Register of the Worshipful Company of turners of London. 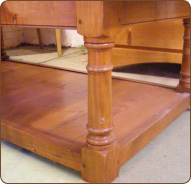 He produces bespoke hand turned or copy turned stair parts ,turned table legs,coffee table legs,newel posts,balusters,dowels,drawer knobs,patrae ,Windsor chair back sticks,bespoke stair parts/spindles. We also stock a range of craft goods such as wooden Apples, Eggs,bowls some of which can be purchased in the shop from the top main menu . The range of companies and people that we supply or have supplied a bespoke wood turning service is vast! From joinery, cabinet makers, wheelwrights,shop fitters,antique restorers, Windsor chair manufactures, silver and gold smiths and furniture companies. In fact, if it’s turned, we would love to give you a no obligation quote. We very frequently use timber supplied by the client .So that the colour and grain will match your cabinet being sourced from the same board of timber or timber can be supplied if required. Attention to detail is of the highest importance to Phil. 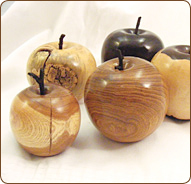 Phil Jones professional wood turner offers a wide range of items, hand turned or copy turned to order. Phil Jones professional wood turner has years of wood turning experience and he can offer patience, skill and a guiding hand when needed.